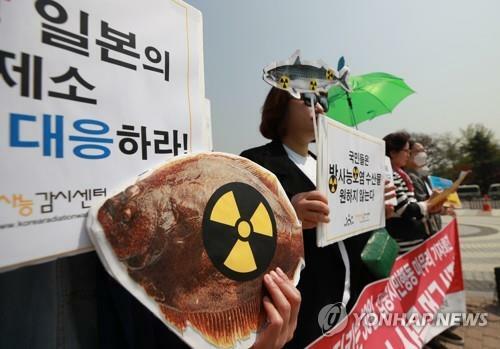 GENEVA, April 11 (Yonhap) -- Overturning an earlier decision, the World Trade Organization (WTO) on Thursday ruled in favor of South Korea's import restrictions on Japanese seafood in the wake of the 2011 Fukushima nuclear disaster. The WTO appellate body overturned several points of the 2018 verdict, saying the Seoul government's measures are not unfair trade restrictions and do not fall into the category of arbitrary discrimination. The Seoul government is expected to maintain the current restrictions in place on 28 kinds of fish caught from eight prefectures near Fukushima since the nuclear power plant accident. 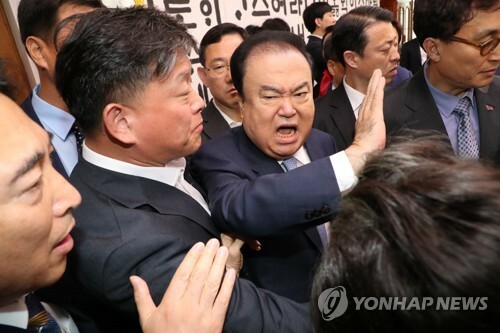 The appellate body, however, sided with Japan in one point, saying that Seoul has not provided enough information to Tokyo in terms of the import ban measures. About 50 countries have maintained bans on imports since the crisis, but Japan has complained to the WTO about only one country -- South Korea. In February 2018, a WTO dispute panel ruled that Seoul's measures were justified shortly after nuclear plants experienced meltdowns and released large quantities of radioactive materials but that maintaining them violated the WTO's sanitary and phytosanitary (SPS) agreement. Seoul appealed the WTO ruling six months later, vowing to maintain the current restrictions to ensure public safety. Thursday's ruling marks the first time that an earlier ruling related to SPS disputes was overturned by the WTO appellate body.